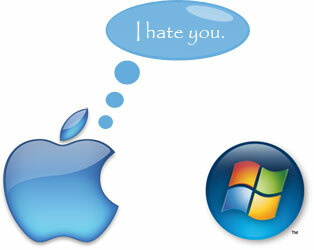 Why Apple doesn’t write good software for Windows platform? I came across an interesting article on ZDNet in which the author writes how Apple QuickTime does not play 1080p H.264 QuickTime movies properly even on a high end Windows Vista based PC whereas Mac Mini plays it perfectly. The same thing happened to me a couple of days ago when I tried to play a 1080p H.264 clip in QuickTime on my system running Windows Vista. 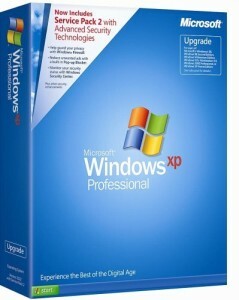 You might be thinking what else one can expect from the so called ‘slow’ Windows Vista. Well if that’s what you are thinking then let me burst your bubble- you are absolutely wrong! The same clip played perfectly in VLC Player on the same computer! I downloaded some test clips and tried playing them with Apple QuickTime on my 3.0GHz quad-core QX9650 Vista 64-bit system – This rig is kitted out with Velociraptor drives, 8GB of fast RAM and a Crossfire quad-GPU setup. The results – Awful. The clip was jerky and jittery. My system is capable of flawless Blu-ray H.264 1080p video playback and so the system is operating normally. 1080p H.264 QuickTime movies play fine on the Mac Mini through QuickTime, and they play fine on Windows when using third party media players. So the issue is here isn’t which OS is best, or which platform is best, it’s all down to Apple’s QuickTime player for Windows not being up to the job. I’m going to ignore the fact that QuickTime virtually offers door into people’s PCs for any hackers willing to use it. It seems that Apple just can’t write decent code for the Windows platform. That may be because Apple doesn’t have the in-house skill to develop good software, or it may be down to some decision to make Mac OS seem better than the Windows platform. 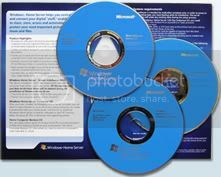 Microsoft is offering free trial DVDs of Windows Home Server & ships them for free across various nations. You can try it for 120 days. 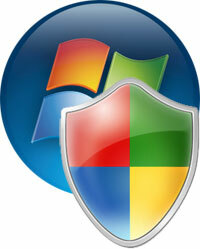 With Windows Home Server, you can back up all of your family’s PCs automatically. And you can connect, organize, and share your photos, videos, music, and other files with friends and family. Order the free Windows Home Server 120-Day Evaluation Kit today. We will ship it to you free of charge. Bill Gates- the man with a vision & a legend is retiring today, leaving behind his legacy. He will still be the Chairman of Microsoft but will now be spending more time guiding Bill & Melinda Gates Foundation. Mr. Bill Gates was the man with both technical & business management skills and I wonder if Microsoft will be able to dominate the software industry in the hands of Steve Ballmer? I am not so sure and I guess only time will tell the future of Microsoft. Bill Gates might be retiring but he will never be forgotten, he will always remain in the history of computing. I would like to wish Mr. Gates all the best for his future and plans. When i graduated from college, in 1991, I started working for Microsoft (NASDAQ:MSFT) on the Excel team. My title was program manager. I was supposed to come up with a new programming system so users could automate Excel. I sat down to write a spec, a huge document that grew to hundreds of detailed pages. In those days at the company, we used to have these things called BillG reviews, at which Bill Gates personally went over every major new feature. At the time, he was already famous and on the cusp of being named the world’s richest person. The day before my BillG review, I was told to send a copy of my spec to his office. It consumed almost a full ream of laser-printed paper. Once the spec was printed and on its way, I picked at random one of the million little details of the spec that I still had to tackle: figuring out if Excel’s internal date and time functions were compatible with BASIC, the programming language we were using on the project. The next day — June 30, 1992 — we gathered in a conference room. In those days, Microsoft was a lot less bureaucratic. Instead of the 11 or 12 layers of management the company has today, I reported to Mike Conte, who reported to Chris Graham, who reported to Pete Higgins, who reported to Mike Maples, who reported to Bill. About six layers from top to bottom. We made fun of companies like General Motors, with their eight layers of management. So the whole reporting hierarchy was there — along with, it seemed, its cousins, sisters, and aunts. Someone from my team was there, too. His job was to keep track of how many times Bill said the F-word. The lower the F-count, the better. Bill came in. I thought about how strange it was that he had two legs, two arms, one head, etc. — almost exactly like a regular human being. And he had my spec in his hand. This article is a must read for everyone, whether you admire Bill Gates or not. I loved every single word in it. I wish I could meet Mr. Gates someday & have a conversation with him followed by a cup of coffee. I am signing off on this note- Long live Mr. Gates & long live his legacy.